Battles are raging all around. I see many friends struggling with the distress of situations that seem too much to bear. These disheartening battles include cancer, heart disease, mental illness, financial difficulties, addictions, lawsuits, false accusations, broken families, and fighting an actual war. Our children aren’t even immune. Their struggles include peer pressure, eating disorders, bullies, anxiety, and even terminal illness. The list goes on and on. We all have battles which God has called us to fight, but like Gideon, we can be certain that God is with us. Often we feel weak and think our struggles are more than we can bear. Realistically, without the strength that can only be given by God, we probably couldn’t handle such situations on our own. What a blessing to know that he will be with us through the battles of life. It doesn’t matter what we are going through, God will give us the power to overcome it through His strength! Find courage today in knowing that God will be with you through the battles of life. You are a mighty warrior through Him! Posting this as I pray for a friend fighting a huge battle. God knows his name as well as yours if you are needing courage through your own battle today. Hi Tresa~ So glad I read your post tonight. This was exactly what I needed to hear. I know He fights our battles for us but sometimes it’s just a good thing to hear it from someone else. Thank you for encouraging me today. Love this! It is so true. I was struck earlier this year as I started reading the Bible chronologically the number of times it’s mentioned that God fights the battles for us! What a relief! I know that I cannot fight with my own strength. I MUST rely on Him to fight and rescue me. 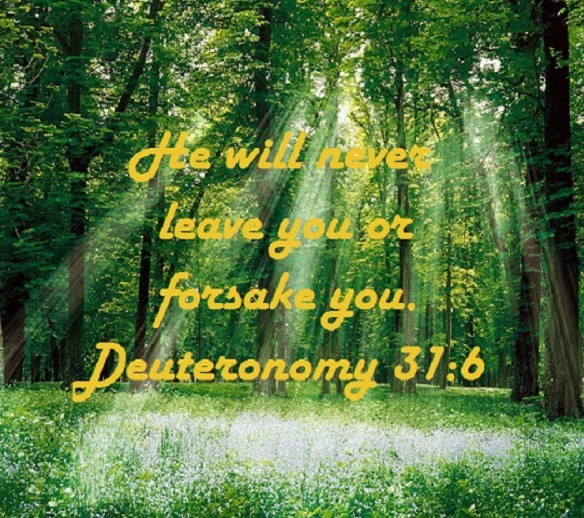 I will cling to His side and be faithful to Him and He will always be faithful to me!!! 🙂 Thanks for sharing! Deut. 3:22 “You must not fear them, for the LORD your God Himself fights for you. When we draw our strength from God’s limitless reserve, we’re able to reach far past ourselves and achieve truly wondrous things. Hi Tresa – great post. We have been going through some of what you mention and God made it clear to us that He will fight the battle, we will have the victory, but the glory will be for Him. Your post is for me an encouragement to keep on keeping on.